Ideal for patients with crowns, bridges, orthodontic appliances and implants. Easy insertion with the stiff end threader. 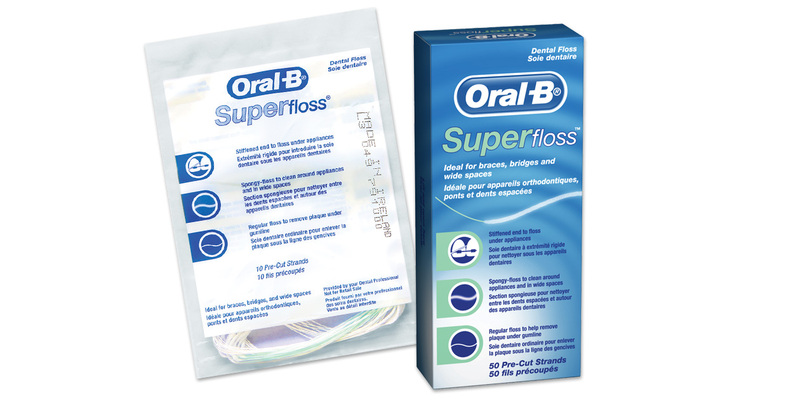 The soft, spongy floss effectively cleans large interproximal areas. Contains: 100 patient sample packs of 10 strands each. Contains: 24 boxes of 50 strands each.